At Foam World, our team believes in producing high quality products to meet the ever changing needs of the growing Gold Coast population. 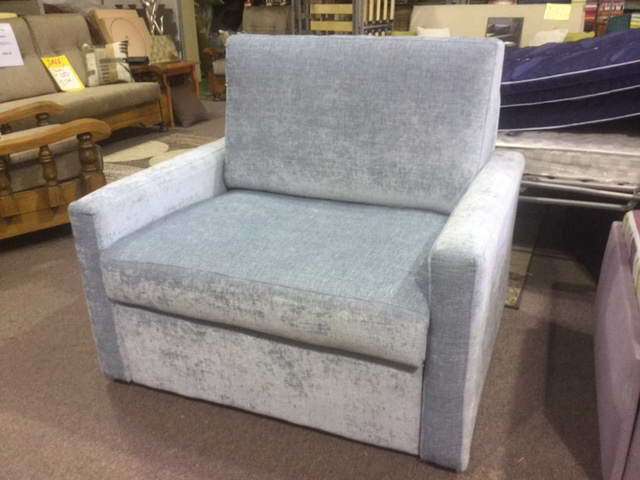 Since 1993, we have been updating, tweaking and creating our extensive range of sofa beds to meet the needs of our customers. With our constantly improving product range, we pride ourselves in ensuring that our entire line comes with the very latest in sofa bed technologies. 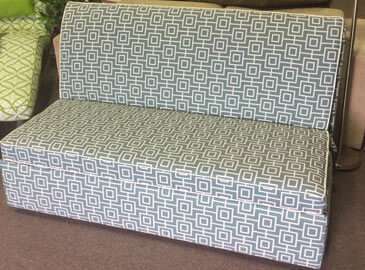 Whatever reason you have for wanting a stunning, comfortable and functional sofa bed in your home, you can trust Foam World to get the job done. Come in and visit our Gold Coast showroom in Burleigh to view our entire line of sofa beds, each of which comes ready to use and converts easily into a comfortable sleeping solution. If you have recently moved into a small apartment and need to save space or want things to look a little less cluttered, a sofa bed could be the solution you are looking for. 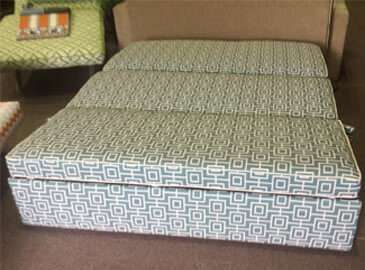 While saving money by buying a bed and a couch in one, you can also have your sofa bed custom made for your space – allowing you to have to the maximum sized bed as possible. Want to turn your spare bedroom into a study but don’t want to lose the luxury of a place to house guests? A sofa bed will not only add an extra sense of comfort to your study, it will also allow you to hold onto your spare bed without having to occupy permanent territory. Transform your comfortable seating solution into a fully functional bed in seconds. Our full range of sofa beds is available in our Gold Coast showroom and includes single beds and double beds in a variety of modern and retro styles. Whether you want a touch of timber or something minimal and comfortable, you’ve come to the right place. So, what are you waiting for? 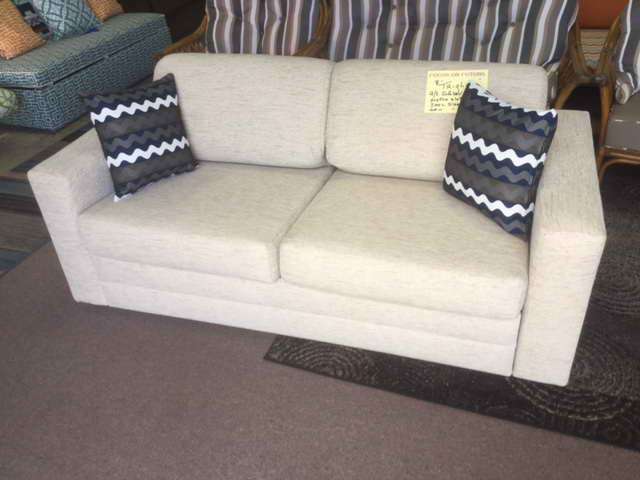 Save money and space with a Foam World Gold Coast sofa bed! We currently have six designs to choose from, but if they don’t meet your needs simply ask us about our custom made solutions. 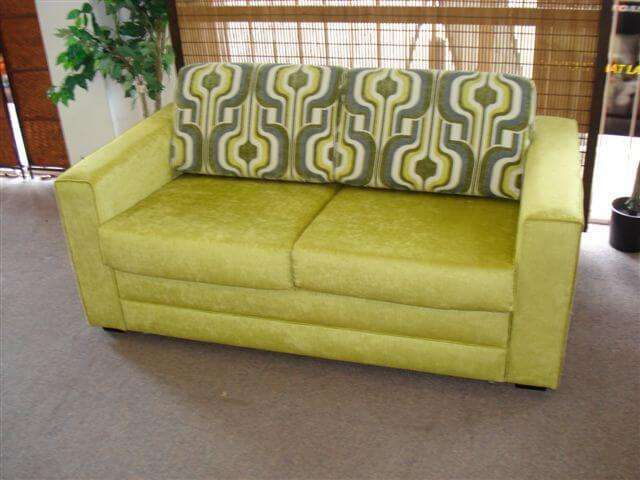 It’s a three in one: Chair, Chaise, Sofabed.